Are you interested in learning how to create a vision board? If so, you're in the right place! I'm a vision board junkie, and today I want to teach you how to use one to reach your goals. Facebook is where people post photos of all the fun activities they've done recently, aka: the Ghost of Christmas Past. Twitter is where everyone heads to discuss breaking news events or Miley's latest antics, aka: the Ghost of Christmas Present. Pinterest is where people go to pin their hopes and dreams, aka: The Ghost of Christmas Yet to Come. A quick peek reveals that I aim to be fit and fashionable, to apply my makeup perfectly, and to one day travel the world dispensing great advice — in the form of witty quotes, of course — all while showing off some of the most amazingly beautiful hairstyles one could imagine. But those dreams are what makes Pinterest such a valuable marketing tool. An attentive marketing firm would capitalize on my vision for the future by filling my boards with targeted ads for plane tickets, workout DVDs, and products to make my hair long and shiny. However, ad agencies and huge corporations shouldn't be the ones profiting off of your vision for your future; YOU should be reaping the rewards! That's why you need a vision board! While it may seem like a silly idea, vision boards are a great way to ensure that you're focusing on meeting your goals. Scientific studies have demonstrated that visualization really works, and Olympic athletes have been using mental imagery for years as part of their training. By creating a vision board and placing it somewhere prominent in your home, you'll be forced to look at it throughout the day. That will essentially trigger your brain to visualize your dream life coming to fruition each time you see it. If I haven't convinced you to create a vision board just yet, I'll explain how they've worked for me. Daisy and I started this blog in late May of 2015 so I could teach her about goals and provide an outlet for her to achieve them. She'd been doing hair and makeup for homecoming and prom events for a couple of years, and she wanted a place to showcase her talent and teach her friends how to recreate the styles she'd created. I wanted to brush up on my blogging skills and create a place to share fitness tips and my travel adventures. So, Voila! — the Sand Sun & Messy Buns blog was born! 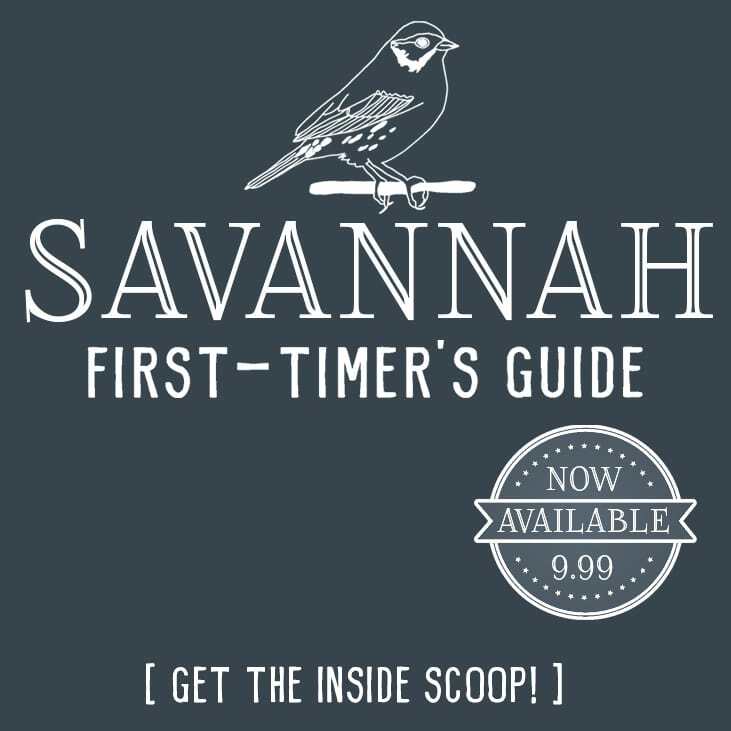 We decided we'd try it for six months, and I created private Pinterest vision boards showing how I wanted the blog to look, topics we wanted to cover, etc. I pinned things like “Too Busy to Side Hustle? 5 Tips to Show You How”, “How to Start a Blog the Right Way”, and “How to Make Money as a Freelance Writer”. For some unknown reason, I also posted the image below of the number 750. I think it was because I liked the white outline around it and wanted something similar for our logo? This image was always what stood out most on my blog vision board — probably because it was so bold and most of my other pins contained a lot of words/images. As I learned more about blogging and as I viewed my board each day, my focus became clearer. 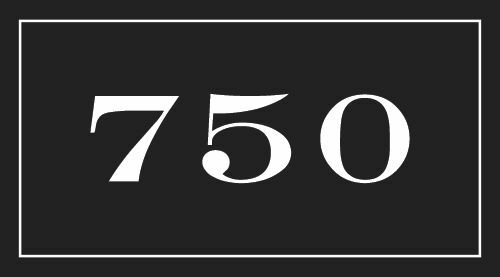 I decided to turn that mysterious number into a tangible goal; I wanted to have a day where we reached 750 page views on the blog. I figured both goals were feasible within a six month timeframe. Because that number stood out to me so much on my vision board, it really became my focus. I wanted to reach my goal so I could smile when I saw the number 750 on my vision board! Not bad, considering we had a zero dollar advertising budget! While I'm still improving my “side hustle” game on a daily basis, I do feel like we succeeded in starting our blog the right way and got off to a good start..and it all happened in less than six months!! I credit my vision board, thankyouverymuch. Ready to create your own vision board? Now that I've inspired you to create a vision board, let me tell you how to do it. The key to a successful vision board is to focus on how you want to feel, not just on the materialistic things you want in life. For example, I want to focus on feeling healthier and less stressed this year, so one of my vision boards contains images of hammocks by the beach and healthy, energizing meals. TIP: Remain positive when selecting images for your vision board and choose inspiring images. Step 2: Establish your vision. Do you want an all-encompassing vision board that covers every area of your life, or would you prefer to focus on a singular goal — such as fitness or work? I personally like to do both! I have a bulletin board in my bedroom with goals for my entire life — including work, health, family, and more. It's the first thing I see each morning when I wake up, so those goals are reinforced daily. 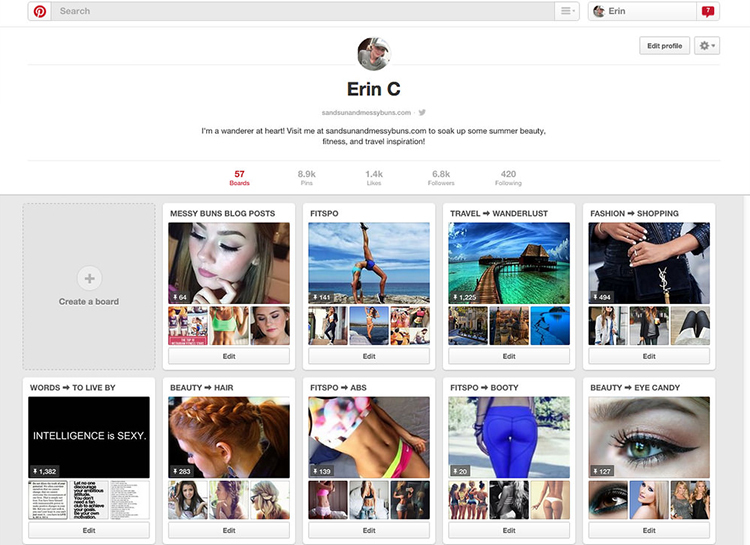 I also have private vision boards on Pinterest for topics such as fitness and blog goals. Step 3: Gather images. This is the fun part! It's also why I almost called this article “How Pinterest can Help you Succeed at Life”. For this step, you get to surf Pinterest and pin everything that fits within your vision! I like to create two boards: one called “Idea Gathering” and one called “Vision Board”. Pin all of your random ideas onto the idea gathering board — and don't be stingy with your pins. If something calls out to you, just pin it! (My “750”, for example.) 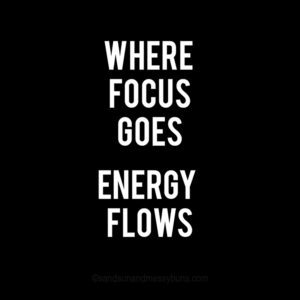 You can narrow your focus in the next step. If you're creating a physical board, go through magazines and tear out anything that speaks to you (words or images). TIP: Remember that your images should represent not only your goal, but also the emotions you'll feel once you reach your goal. Try to sit somewhere without any distractions while gathering images, so you can focus on what you're doing. Be open to creating the best vision possible for your life. Step 4: Narrow your focus. Now that you have a Pinterest board full of ideas, you can begin the sorting process to see which ones speak to you most. Delete the comments on each one and instead place your own comment ranking each pin as a 1, 2, or 3 — based on how well it fits with your goal. If you're creating a physical vision board, such as a poster or a journal, begin laying out your magazine scraps on your board. Remove anything that doesn't seem to fit your end goal or that draws your attention in a negative way. Step 5: Create your collage. For a digital board, this is where you'll move all of your highest-rated pins to your final Pinterest “Vision Board” (then delete the “Idea Gathering” one). On a physical board, begin gluing or taping your items in place to finalize the layout. Your board doesn't have to be neat at all; it can be random and messy if that's the look you prefer. Try doing a Google or Pinterest search for “vision board ideas”, and you'll pull up a whole slew of inspiring samples. I hope these tips help you as you create your vision board for 2017! Remember — a vision board will provide a tangible image of your goals, so you'll be reminded of them each day. Place yours in a prominent spot where you'll see it frequently. If you can include some tips or positive stories of your own, please let me know in the comments! OK, I’m motivated to do this! I’ve been trying to lose weight this time for a while and fell off the wagon again. I like the idea of having the number 125 plastered in my kitchen everywhere and on my bathroom mirror to remind me of the weight I’d like to reach. I pinned your 750 because it’s a great goal and like you, I like the bold black and white look. And I pinned it into a new board I just created called My Vision Board. Thanks.